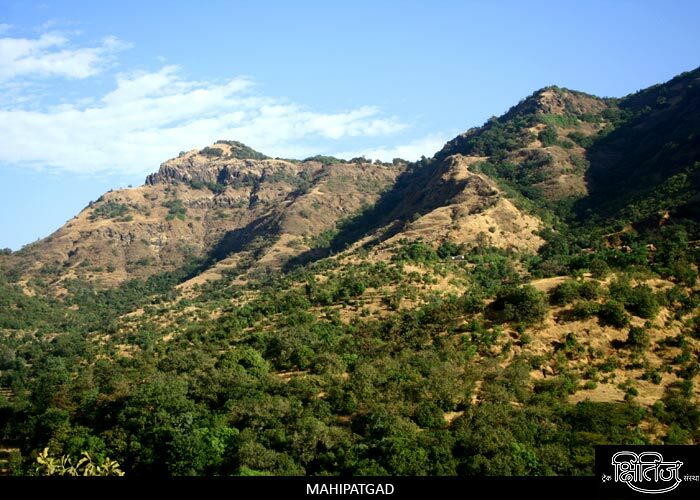 Rasalgad, Sumargad and Mahipatgad mountain range is 12 miles to the east of Khed taluka and Mahipatgad fort which lies on the northern end of the hill range is the tallest among the three and spread on 200 acres of land. Mahipatgad � Sumargad � Rasalgad is one of the well known range treks in the Sahyadris. Steep cut walls of the mountain on which the fort has been built provide a good safety feature to this fort and due to this feature no fort walls have been built on its edges except where the ascend is likely and the safety could be jeopardized. At present these walls are in complete ruins. There are 6 main entrances on this fort. Laldevdi entrance to the northeast, Pusati entrance to the east, Khed entrance to the south, Shivganga entrance to the west, Kotwal entrance to the north and Yashwant entrance to the southeast. The saddest part is all these doorways now stand in a dilapidated condition with only traces of it left. There is a Shivlinga near the Shivganga entrance, stairways near Pusati entrance and Lord Hanuman temple near the Kotwal entrance. There is a Lord Pareshwar temple on the fort which can be used for stay. There is a well opposite the temple with potable water in it. The plateau of this fort is covered with forest and has many ruins of structures hidden in it which have to be studied thoroughly. Heaps of unused mortar could be seen on the fort which indicates that the development of this fort might have been left halfway. Take a bus from Khed early in the morning for Dahiwali which is around 1 hour travel. An unpaved road from Dahiwali village which passes through 2 clefts takes us to the fort top in 4 hours. Take a bus from Khed for Wadi Jaitapur and proceed further to Wadi Beldar village which is accessible by an unpaved road from Wadi Jaitapur and takes around 2 to 3 hours to reach. The path from Wadi Beldar is quite clear and takes us to the fort top in an hour. One can also reach Mahipatgad from Rasalgad via Sumargad in around 7 hours. The route passes through a thick forest so one have to exercise high precaution to stay on the right path. Pareshwar temple can accommodate 20 to 30 people.